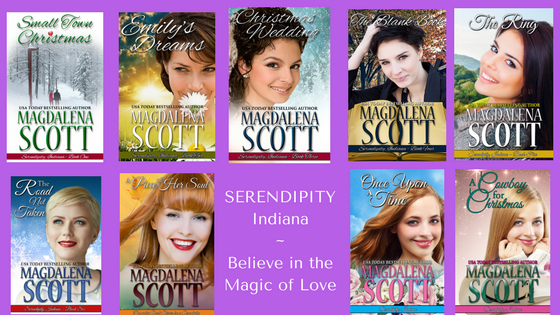 There was only one thing that could have brought me back to Serendipity, Indiana, and that was the Osborne house. As a youngster riding all over town on my bike, I’d thought it was surely the most beautiful house in the world. My senior year in high school I attended an event there—an event that changed the direction of my life. The day I drove out of town in my first car, intending never to return, I shed a tear or two at the thought of never seeing that house again. I told myself those tears had nothing at all to do with Jim Standish, or his part in my last experience at the Osborne house. Years later I made the huge mistake of telling my best girlfriends that the house was the only thing that could get me back to Serendipity. We all laughed about it. But when the Osbornes decided to move to Florida for good and not just snowbird as a lot of Serendipity folks did, my friend Alice called me. A shock ran through me like static electricity on a cold wintry day. “Sure, I remember.” Why do I tell girlfriends stuff that might come back to bite me? “You know, if things were different for me here, I’d be tempted. The housing market’s picked up. Business is great. I can’t imagine I could have much of a career in real estate down there. “Okay. Wanted to tell you, just in case.” The conversation went someplace entirely different after that, thank goodness. It had been less than a blip on the big radar screen of my life. “So, how’s Matthew?” she asked when I’d probably been talking too much about my job. We discussed schedules and Alice took the job of contacting the other girls. It made sense because they’re in the same town, and—well, she doesn’t really seem to have much else going on. She organizes us for things like this—finds a fun place for lunch and some shopping, somewhere between Fort Wayne, where I was living, and Serendipity, which is way the other end of Indiana. Plus it’s way the other end of the spectrum, quality of life-wise. Poor old Serendipity, where nothing ever happens but everybody’s always talking about it. 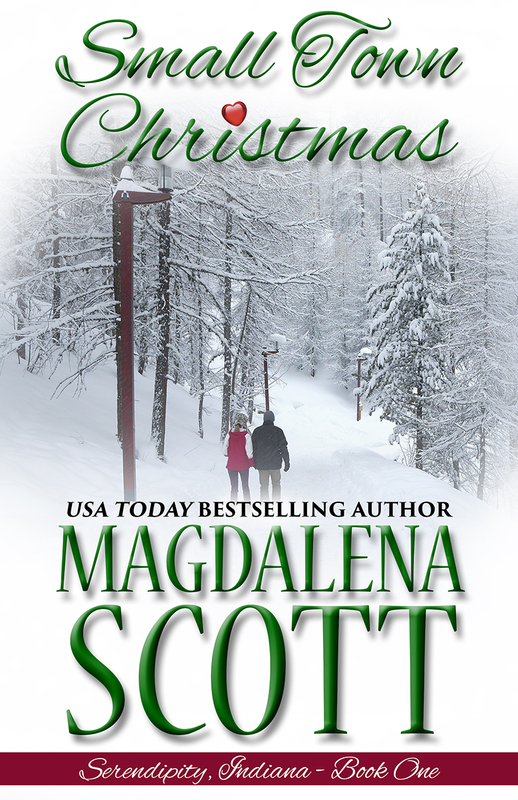 Matthew scooted into the room in his favorite footed jammies, rubbing sleep out of his eyes. He raised his arms and I picked him up and started walking around talking softly. I almost made the mistake of asking if he remembered Alice, but that would have been stupid because he’d have started thinking about it and become more awake instead of drowsy. I have to think about parenting stuff more than some people do, I think. Maybe because I came to motherhood a little late and all alone. Plus my own parents sure hadn’t set a good example of how to raise children. Matthew had brought his piece of blanket with him and tucked it under his cheek, relaxing on my shoulder. I started singing the silly song I made up as a lullaby—a real repetitive tune and boring words—that always works at night. Sometimes I almost put myself to sleep. But this was morning and I needed to get moving. I laid my son back in his little bed shaped like a semi-truck, made sure he was sound asleep, and retrieved the nursery monitor before I hit the shower. I usually have coffee before I shower, but today I was running a little late because of Alice’s phone call. And I didn’t need caffeine. My mind was whirling with pictures and memories of the Osborne house, of my girlfriends in Serendipity, and the sweetness of life in a small town. We’d had an idyllic childhood for the most part, back in the day when life was more simple than scary. Sure I’d love to raise Matthew in a similar environment, but Serendipity isn’t a place to move to, if you need to make a living. Young people with initiative move out of town as soon as they can, as I had done a couple of decades ago. The town had lost more industry than it had gained in the last several years and was basically headed down the tubes. Most likely the Osborne house would sit empty, unsold, and the owners would end up renting it out. Too bad, but not my problem. My life was coming along very nicely, thank you very much. A few days later I watched Matthew play at the park near our apartment. He and I had a standing play date with some kids from his preschool every Saturday morning. It was good for him to be able to run wild for a little while, since our apartment didn’t have loads of room for that type of activity. I always brought my laptop and used the play date time to catch up on work. The other moms were lots younger and busy talking about husbands or boyfriends or the latest fashion. I didn’t have anything to add to that conversation, nor anything to gain from it either. My cell phone rang. This time it was my friend Francie, just re-stating the fact that the house was for sale. I steeled myself not to care. “Um, no. When did this happen?” And why does it feel like a sign to me? “The Parkers’ number, Francie.” Why did she keep changing the subject? “Home phone, not the business.” I started pawing through Matthew’s backpack for something to write the number on. It was ludicrous to even make the contact, but if I was going to, I wanted to go right to the owners, via a more personal channel. I mean, if they had the inclination to sell to someone they knew, who was I to question it? She sent it to me that day or the next, but having come to my senses in the interim, I didn’t call. The idea of owning my own business had been a silly idea. I was established and successful, and Matthew and I were happy. Then the final shoe dropped. This particular size twelve, Italian-leather loafer belonged to the owner of the real estate agency where I worked. In order to focus best on the agency’s core mission, there was to be a redistribution of human resources. Translation: The dude’s new girlfriend was coming on board and I was on my way out. I may be a little slow on the uptake, but I can tell when fate is kicking me in the rear. At this point I could try to keep my job by whatever means available—could be ugly. Or I could look for something similar in the area. Or I could just take door number three—Serendipity, Indiana, the old hometown I had tried so hard to put in the past. If I’d only had myself to consider, I might have chosen another option. But Matthew made everything in my life different.